My mother is an excellent, healthy cook. She also doesn’t like to eat the same thing too often, so sometimes she shares a recipe with me, and by the time I cook it for her she’s forgotten it even came from her recipe box! 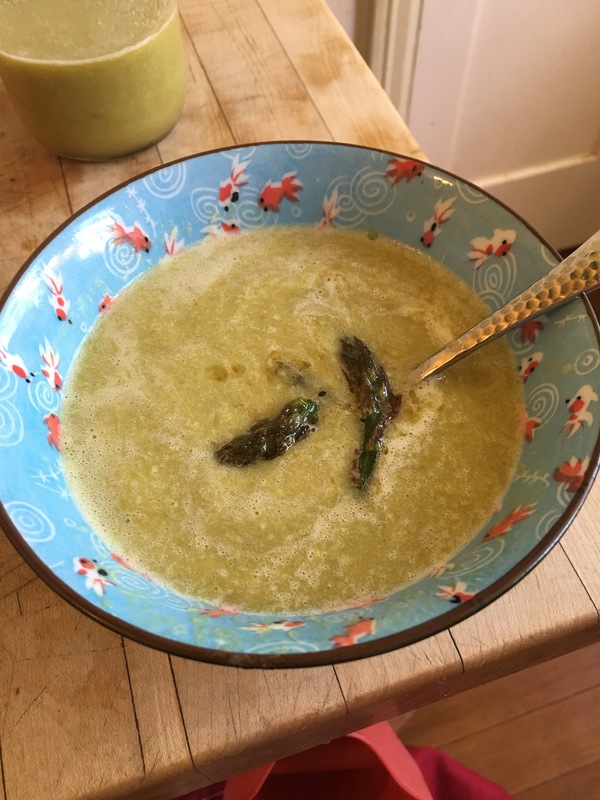 This asparagus soup is one of those- a springtime favorite in our house. 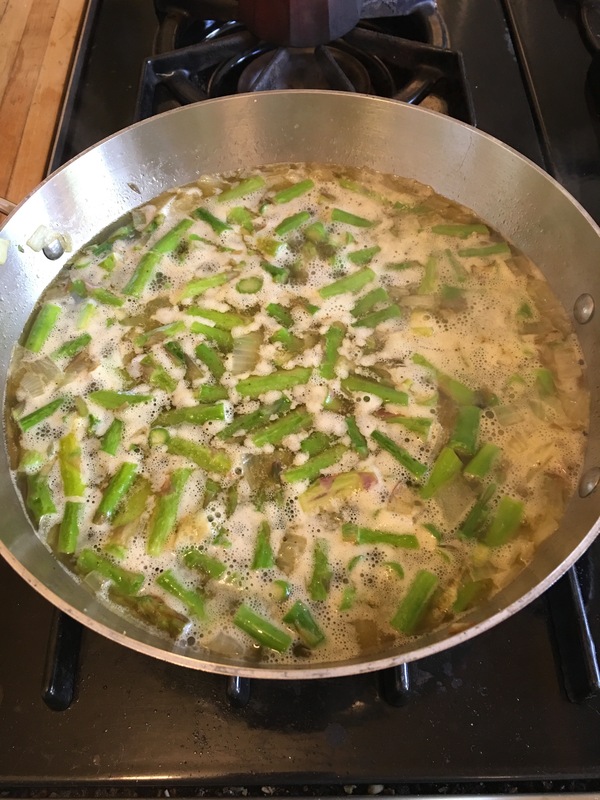 It has very few ingredients so I always wait until asparagus is really in season and doesn’t travel too far to get to us, to let the rich, juicy green flavor the soup. 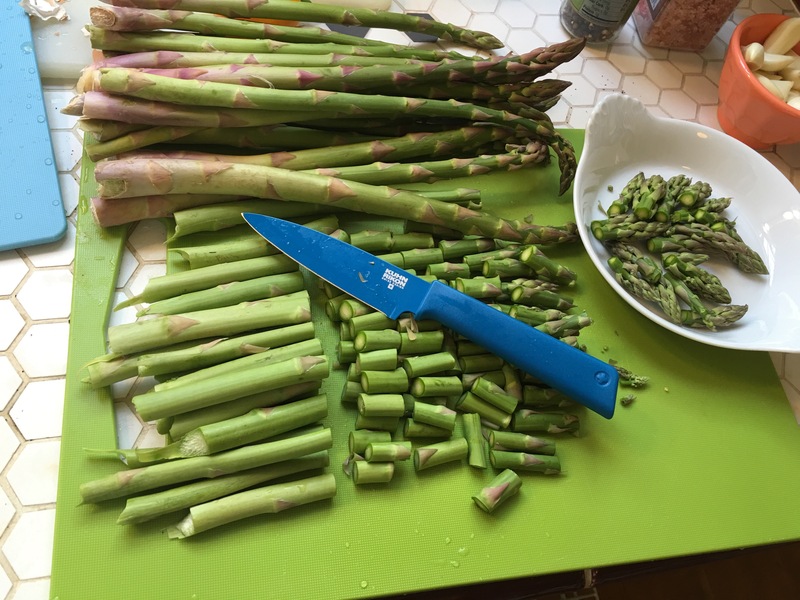 Snap the woody ends off your asparagus, then cut off and reserve tips. Chop stalks into 1″ ish pieces. Heat olive oil with 2T butter in a large pot over medium heat. Sauté onions until soft, then add asparagus stems and garlic. 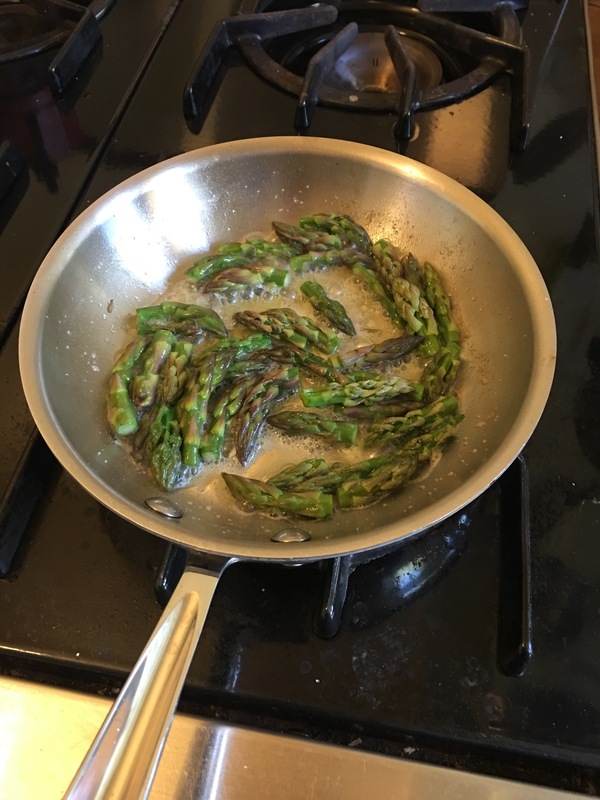 Season with salt and pepper and sauté until asparagus are al dente(test one). Add 2 cups stock, bring to a boil then lower to a simmer. Simmer uncovered for 10 minutes. Allow to cool, then blend until smooth-add extra stock while blending if it is too thick for your tastes- it is equally good a bit chunky or thin like a bisque! 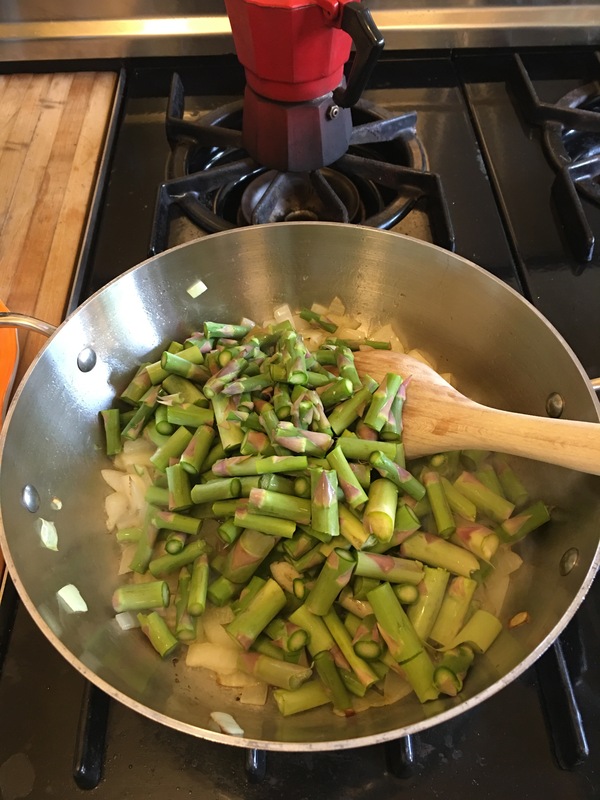 When ready to serve, melt remaining 2T butter in a small skillet and sauté asparagus tips until browned, salting as you go. Ladle soup into bowls and scatter a few buttery tips on top.